735092035424 Since 1824, fine sterling silver and silver-plated gifts from Reed & Barton have been marking birthdays and special events with brilliance and timeless beauty. Celebrate your loved ones by offering this brilliant heirloom piece by Reed & Barton. 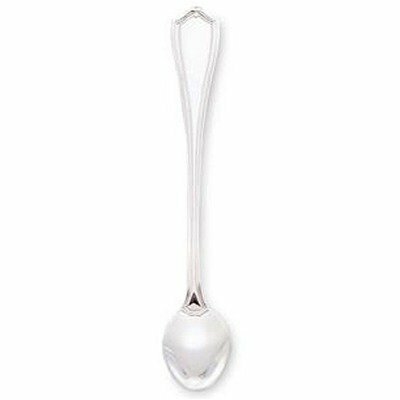 Features: -Infant feeding spoon. -Complements the Children Flatware collection. -Silver color. -Designed with bordered. Specifications: -Material: Sterling Sliver. -Dishwasher safe.